For lunch or dinner, stop by La Sedep, a restaurant that specializes in international cuisine. Dining is also available at the coffee shop/café, and room service (during limited hours) is provided. With a stay at ZEN Rooms Depok Sleman Syariah in Depok, you'll be within a 15-minute drive of Gembira Loka Zoo and Plaza Ambarrukmo. 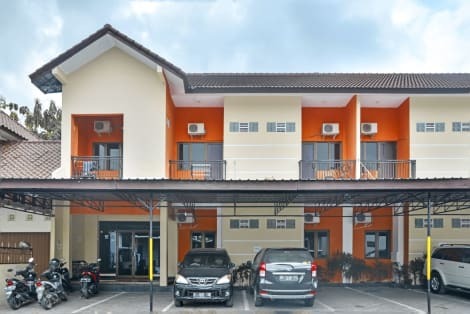 This hotel is 3.3 mi (5.3 km) from Malioboro Street and 7.2 mi (11.7 km) from Prambanan Temple.